The existing and new-home market in Southern Nevada has been on the rise through 2017 — gaining in number of units sold, median price and construction activity. 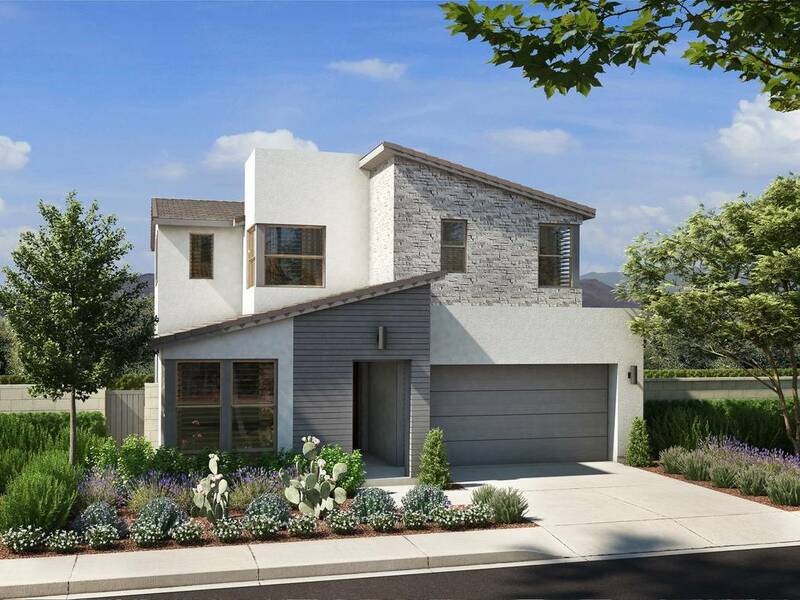 Pardee Homes Rendering of Pardee Home's Cobalt Plan One C "Nevada Living," set to open for sales in the master-planned community of Skye Canyon in early September. Prices start at $360,000 with floor plans ranging from 2,236 to 3,143 square feet. Blue Heron Homes Rendering of Blue Heron Homes' Drexel design at its Midtown Modern community near Charleston Boulevard and Campbell Drive. 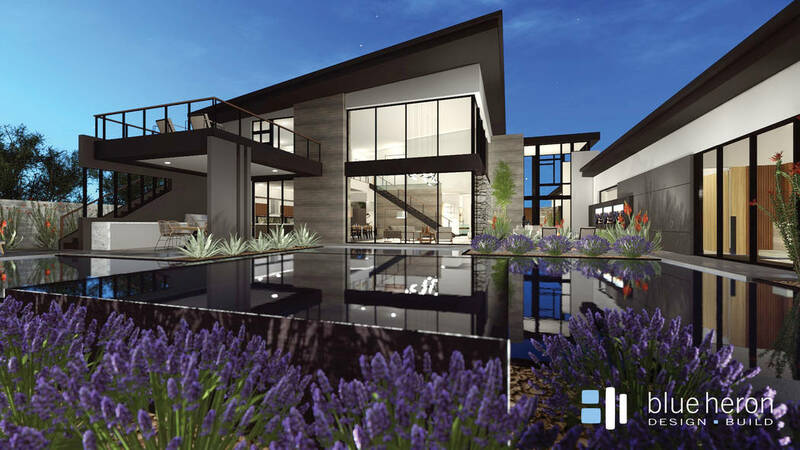 “We were expecting a slowdown in August, and we are right on track to have another amazing month,” said Dave J. Tina, the 2017 president of the Greater Las Vegas Association of Realtors and co-owner of Urban Nest Realty in Summerlin. The median price for an existing single-family homes hit $260,000 in July — up about 1 percent from June’s $257,373 median price on existing single-family residences and up 10.2 percent from a year earlier. New homes also saw a price increase, according to a June report from Applied Analysis. The research firm tracked a 4.4 percent gain from June 2016 to the end of June 2017 — with a median new home price of $343,138 in June. Construction activity has increased as builders become more confident in the “market as their sales offices have been experiencing increased demand,” said Brian Gordon, principal at Applied Analysis. The number of building permits in a single month was also higher than it has been in a decade — with more than 1,000 issued in June. A positive track for building permits issued in the valley was also measured on an annual basis — jumping 10.5 percent to 8,910 permits through June 2017, from June 2016. That was up from 8,064 in June 2016 — which measured the number of permits from June 2015 to June 2016, according to Applied Analysis. The 2017 numbers have been positive with 5,843 building permits issued through July — up 5.5 percent from 5,540 permits issued through the same time last year, according to data from Home Builders Research. Andrew Smith of Home Builders Research is predicting about 9,400 permits to be issued by the end of 2017. The number of projects being built in through July was 253 — down slightly from 256 during the same period last year. “Builders are not flooding the market with new projects, they are mostly replacing projects that are selling out,” Smith said. Some homebuilders have seen a rise in production. Klif Andrews, Pardee Homes’ division president, said the group is constructing about 10 percent more under construction than it was last year. The number of closings on new homes in June 2017 — 782 — was down 3.6 percent when compared to the number of closings in June 2016. On closings for 2017, from January to the end of June, there were 4,007 closings on new homes — up 13.8 percent from the same period in 2016, research from Applied Analysis showed. A similar percentage jump was seen from June 2016 through the end of June 2017 — when 8,421 closings occurred, an increase of 14 percent from June 2015 to the end of June 2016, data from Applied Analysis showed. “Some of that is sourced to the fact that there are fewer resale units available on the market,” Gordon said. Andrews said the hot resale market is pushing buyers toward purchasing new homes because it’s difficult for buyers to snap up an existing home. The Greater Las Vegas Association of Realtors reported 3,798 closings on existing condos, townhomes and single-family residences at the end of July through its multiple listing service. Those figures increased from 3,447 total units sold in July 2016 — a rise of 10.8 percent for single-family homes and 7.5 percent for condos and townhouses. According to the July release, on existing home data from the GLVAR, the valley had less than a two-month supply of homes, where six months was considered normal. Still, the median price for resale product in July of $260,000 is 21 percent below the market’s peak in mid-2006, when it was $315,000, Tina said. The market has improved substantially since January 2012, when the median sales price for existing single-family homes was $118,000. In July, Fitch Rating Services said the prices of homes in Las Vegas was overvalued by 15 percent. Forrest Barbee, a corporate broker with Berkshire Hathaway HomeServices Nevada Properties, argues that the report was more of a macroscopic look — leaving out factors such as zip codes, neighborhoods and other factors.